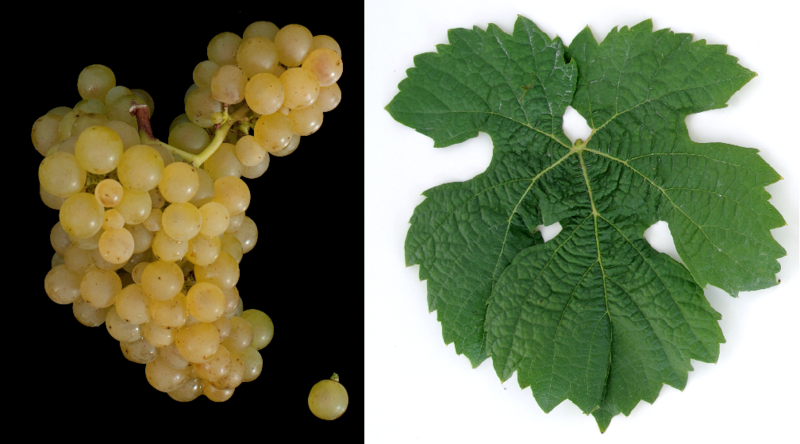 The white grape variety is a new breed between Roter Traminer ( Gewurztraminer x Müller-Thurgau what was done through 2012 DNA analysis was confirmed. This was one of Georg's last intersections in 1932 Shy (1879-1949) in the vine breeding establishment Alzey in Rhineland-Palatinate. From the same parents are the varieties pearl and Septimer emerged. The variety protection was granted in 1978. The early to medium-maturing, high-yielding vine is resistant to falsification mildew, but sensitive to wintry frost, It produces yellow to golden green, spicy white wines with significant perfumed Grades. In Germany the acreage is 65 hectares, with a strong downward trend. There are also small stocks in England (4 ha) and New Zealand (4 ha). In 2010, a total of 70 hectares were reported (Statistics Kym Anderson ). This page was last modified at 15 January 2019 at 09:03.